Every year we’re all faced with the same dilemma: Selecting the perfect holiday gifts for our clients. For those of you who struggle to come up with great gift ideas, we are happy to share our best kept secrets for creating a memorable holiday gift. 1. Think Ahead Throwing a gift together at the last …..
It’s official. We love the PopSocket. Ultimate phone gripper – think better selfies, web browsing, texting, and phone calls. Great phone stand – perfect for media viewing and video chat. Stress reliever – the spin it, push it, pull it, twist it, bend it action makes it the perfect fidget toy. Useful, unique, budget friendly, ….. The drawstring sports bag is a classic back-to-school item that has been an Emblemax favorite for years. It’s lightweight, functional, versatile, and budget friendly. 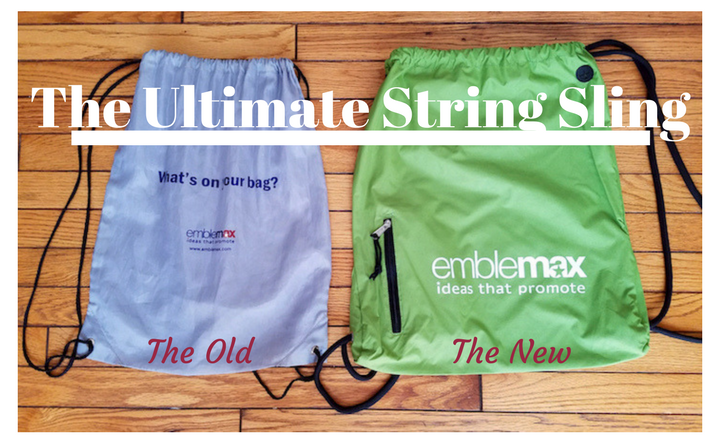 The Drawstring Bag Reboot We’ve been using the same basic drawstring bag style for years. We never had any reason to switch it up until the day a supplier brought us …..